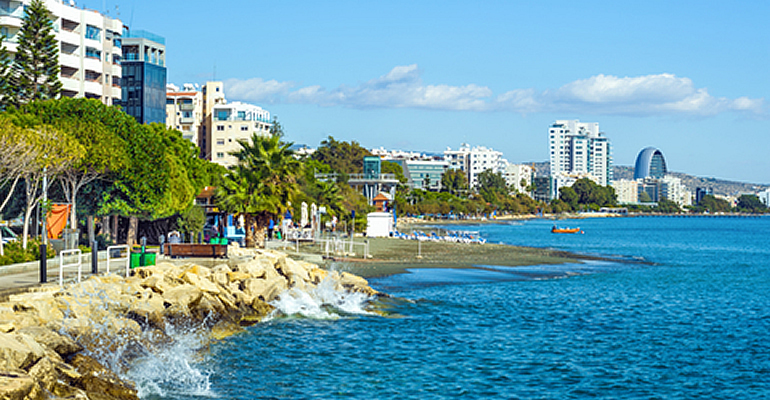 Cyprus has launched a special framework of incentives and benefits for both Cypriot and overseas producers to establish the island as a top location for international film productions. In homage to film industry tradition, the Cyprus audiovisual industry is to be known as ‘Olivewood’. Minister of Finance Harris Georgiades said the audiovisual sector would constitute a fresh opportunity for Cyprus, which he described as a “natural studio” with many economic advantages. The scheme, which constitutes a policy framework based on development, financial and tax incentives, was approved by the Council of Ministers last September. It entered into force recently with the creation of an online platform ‘Film in Cyprus’. Cypriot and foreign production companies that opt to film in Cyprus will be able to choose between cash rebates and/or tax credits of up to 35% on qualifying production expenditures, and may also benefit from tax discounts of 20% on investments made on equipment and infrastructure, as well as VAT refunds on expenditure. The tax allowances and tax credits were still pending approval by the Cyprus parliament. The scheme has been created in accordance with Regulation 651/2014 of the European Commission on declaring certain categories of aid, as compatible with the internal market and especially article 54, which aims to promote European Culture and article 17 in relation to investment aid for small and middle-sized enterprises (SMEs). Specific cultural criteria have been established that will serve as a basis for the evaluation of the proposed productions. The implementing body for the scheme is the Cyprus Film Commission, which will assess and approve applications that satisfy the scheme requirements and then make a recommendation to the Ministry of Finance. Qualifying production categories include, amongst others, feature films (including animation), television series or mini-series, documentaries for theatrical or television release, animation (digital or analogue), television research programmes and natural history. The scheme aims to encourage inflows of capital from international productions to Cyprus and also to support the local industry. It applies to Cypriot and foreign producers under the same terms and is conditioned on the employment of Cypriot professionals. The framework provides for continuous support to investors from Invest Cyprus in respect of permits, importing and exporting equipment and providing information and instructions. For further information on the New Cyprus Filming Scheme, please contact George Ayiomamitis, Managing Director of Sovereign Trust (Cyprus). ← When should South African companies look overseas?